Dan Wesson 715 Pistol Pack chambered in .357 Magnum. Ships with the following Barrels 4", 6", 8" The 715 is as it was before – designed and built to be the most accurate, rugged and versatile revolver on the market. The double action trigger is short and relatively light, while the single action is light and crisp. The target-like SA trigger pull made the Dan Wesson revolver a favorite among competitors and hunters, and the tradition continues in the 715. 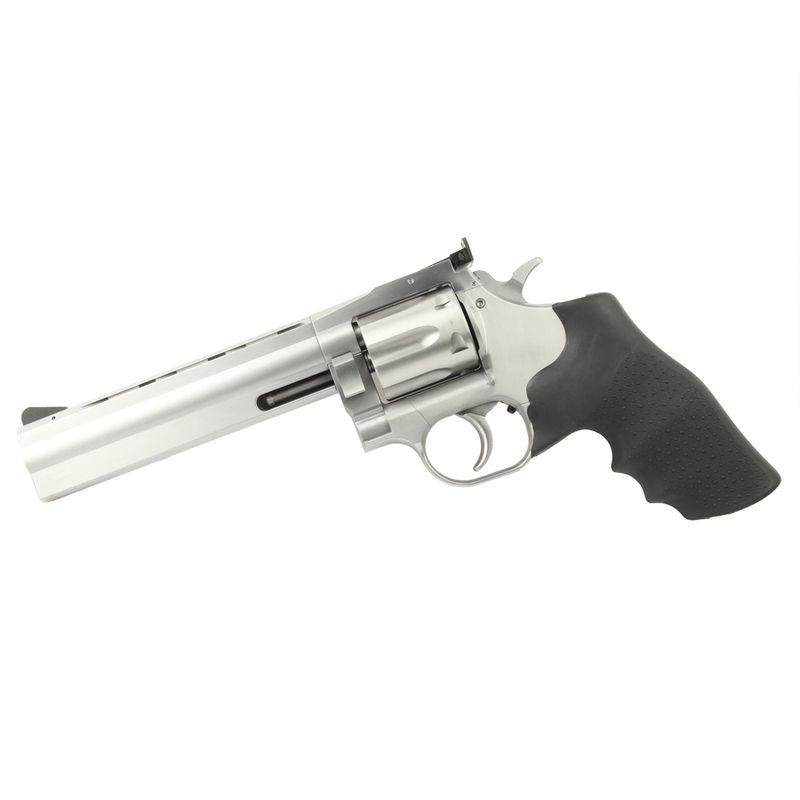 Barrel assemblies and grips are easily swapped by the shooter, and the 715 accepts grips and barrel/shroud assemblies from 15-2 model and newer revolvers. This Dan Wesson revolver is well made; I haven't shot it yet but it seems to work especially well on double action and could be fun to shoot. This is a solid piece, maybe a little pricey, but the fit and finish is great. A lot of thought went into this design.I simply like handling it and looking at it. It is similar to Colt Python, but a lot less money and stainless steel; you can't beat that.